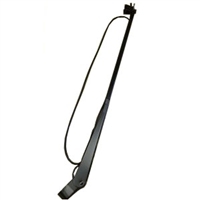 Keep your wiper reservoir and motor working properly by replacing them with our RV windshield wiper parts. 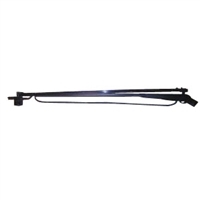 We carry windshield wiper systems for recreational vehicles made in the year 2000 or newer, and many of the products we carry are compatible with a wide range of popular models, including American Coach, Holiday Rambler, Fleetwood, REV RV, Tiffin Motorhomes, and more. Choose from full replacement RV windshield wiper motors or a replacement RV windshield wiper reservoir with pump included. All of our replacement wiper motor parts are guaranteed to work like new, but if you have questions about fit or compatibility, then don’t hesitate to contact us. 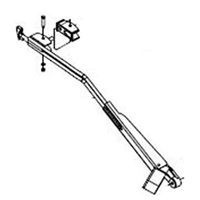 WIPER ARM RADIAL WITH WET KIT 26"